We're the Ankeny and West Des Moines area's premier locations for dog boarding! When you bring your dogs here they become part of our family and they will enjoy luxury suites, indoor and outdoor play areas and supervision from our caring well-trained staff. Call us to make a reservation. Does your dog need a safe and stimulating place to stay while you're away during the day? Our Dog Daycare program at the Ankeny and West Des Moines locations is designed to provide your dog with the right amount of socialization and activities that your dog needs to thrive! All dogs (cats too!) benefit from regular bathing and grooming. Pet Grooming is important in helping to imporve the health of your pet's fur, skin and nails. Give us a call here at our Ankeny or West Des Moines locations to schedule a grooming or bathing appointment for your pet. Our training programs are designed to help your dog master the most common obedience commands, including sit, stay, lay down, come, and heel. We’ll also guide you through overcoming challenges such as leash-pulling and jumping on people. Call us to schedule a free evaluation at both our locations. Ankeny Bark Avenue Pet Resorts are a dream come true for Haley Aleman and her sister Sydney Sjaardema. Both Haley and Sydney always loved and were drawn to animals. 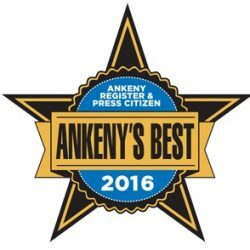 In 2008, with the incredible support of their family, Ankeny Bark Avenue was born in Ankeny, IA. Mom and dad were instrumental--not only loaning the startup money to help build their first location, but also spending countless hours to make their shared dream the reality that the Bark Avenue Pet Resorts are today. Due to overwhelming popularity, a second location was needed and Bark Avenue West was created in 2014 to serve the West Des Moines, IA area. Regardless of the location, each pet is treated like family. Both facilities are filled with lots of love and fun.